Most disaster scenarios are over in seconds, minutes, or hours, but what is often overlooked is the fact that help may not reach you for 2-3 days. 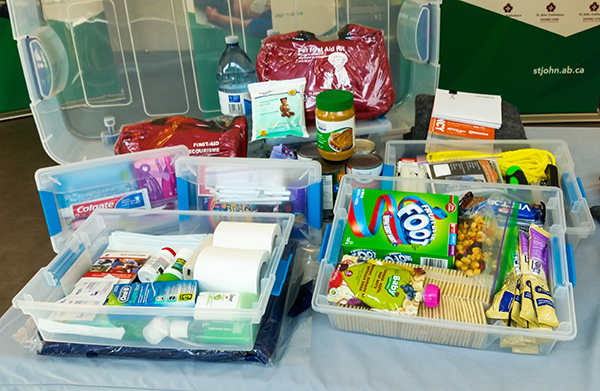 A 72-hour survival kit is an essential part of any household, no matter its size, as disaster does not discriminate. 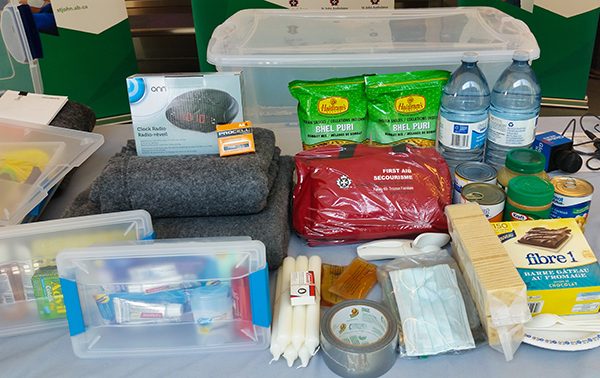 St. John Ambulance believes that there is no single format for a 72-Hour kit – each kit must be customized and adapted to fit the needs of different individuals. We have designed three unique 72-Hour Kits, each pertaining to the needs of different individuals in different situations. The Family Kit is the largest of the 72-hour emergency kits, as it must contain enough supplies for four people for three days. 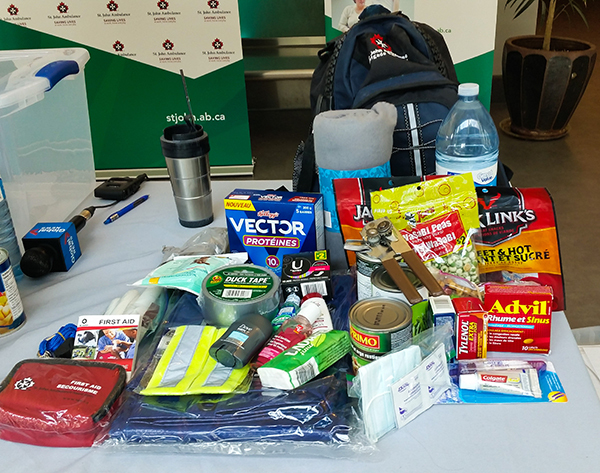 Included in the family kit are also electronic-free entertainment/comfort items for young children, as in a disaster scenario there may be no electricity or cell service. The food and water section of the family kit is entirely dependent on the family utilizing it. If there is an infant in the family, formula packets as well as baby bottles will have to be included in the kit as well, which will subsequently increase the amount of water needed in the kit. Diapers, teething gels, and wipes would also have to be included in order to accommodate an infant. Older children will not require as much accommodations, but this is entirely dependent on the age and preferences of the children, as well as the family. Safety is a top priority whenever travelling or staying put with children, and so the Family Kit includes a SJA Family First Aid Kit as well as a SJA Sports First Aid Kit. Depending on the type and size of the container used to store it, it is fairly portable and can be loaded into a car for travel. The Couple’s Kit is a slightly smaller version of the Family Kit, as it contains the items and amenities necessary for two adults to survive for three days. With less people to provide for, the Couple’s Kit can be stored in a much smaller container. It can also be customized to fit the needs and requirements of a senior couple, such as including an extra pair of reading glasses, a three-day supply of prescription medication, hand-warmers or extra clothes. It is easily stored light-weight, and good to have on hand in case of an emergency where it is necessary to stay put and wait for rescuers to arrive. It is portable, and can be stored in closets or under beds, depending on the size of the container used. This kit was designed in mind for a single individual living alone. It is the smallest of the 72-Hour Kits, as its contents can be comfortably stored in a backpack or small suitcase. This kit is the most portable of the three, and was designed so that the individual can stay put and wait for help to arrive, or get out if their situation is unsafe.